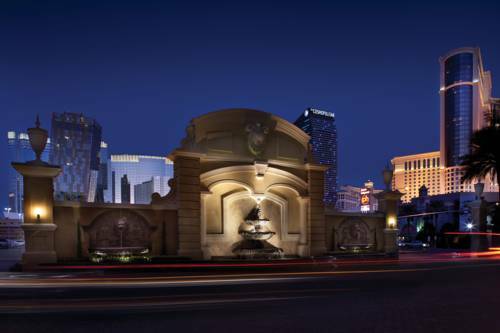 Discover your Las Vegas home-away-from-home at Marriott's Grand Chateau, a premium vacation ownership resort right off the exciting, world-famous Strip. Choose from comfortable guest rooms or lavish villa rentals, with design inspired by the South of France. Our condo-style villas are outfitted with every thoughtful amenity, including full kitchens, separate living and dining areas, washer/dryers and expansive master suites. Stay connected with complimentary Wi-Fi access or relax in front of your flat-screen TV. A rooftop pool and the SkyBar 38 cocktail lounge both offer incredible views of the Strip. For your convenience, our resort also features a second pool, a modern fitness center and The Marketplace, where you can grab snacks on the go. Plenty of adventures lie just beyond our villa rentals as well - from the excitement of Las Vegas to attractions such as the Grand Canyon and the Hoover Dam. Book your stay at Marriott's Grand Chateau, where your exceptional vacation awaits. SkyBar 38: Our casual Las Vegas rooftop bar offers crafted cocktails right next to the pool so you can stay cool throughout the day. SkyBar 38 serves only beverages with a spectacular view [weather permitting] of the Las Vegas strip. The Marketplace: Enjoy a Starbucks Coffee, hot grab-and-go sandwiches, salty and savory snacks, or just something to help you through the day. Lobby Bar: Relax and unwind with your favorite libation and appetizer. Watch a game while having a burger or steak with a draft beer. 5th Floor Pool Bar & Grill: Enjoy a cocktail and share some appetizers at our Las Vegas pool bar [weather permitting]! Try our signature classic cheeseburger or grilled chicken tacos.